Two complete Cable Cross Systems with all the bells and whistles. 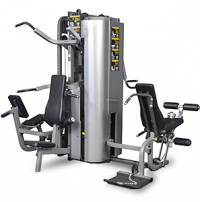 Plus three Lat Pull Down stations, three Low Row stations, and two Triceps Press stations. Sometimes you have space for multiple pieces of equipment and sometimes you don’t. That is exactly why our Multi-Stations can be such a great option when you’re still looking for the total workout experience and commercial feel while needing to maximize space. 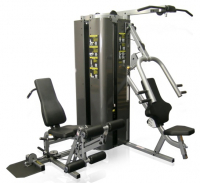 The Nautilus® Cable Crossover Tower features two adjustable towers and overhead beam for multiple chest, back, leg and arm exercises.